Within 'Diagrams View,' users can create a new diagram by clicking the ‘+ New Diagram’ button on the right of the page. Clicking the ‘+ New Diagram’ button will open the New Diagram dialog where you will be directed through the process of creating a new diagram. 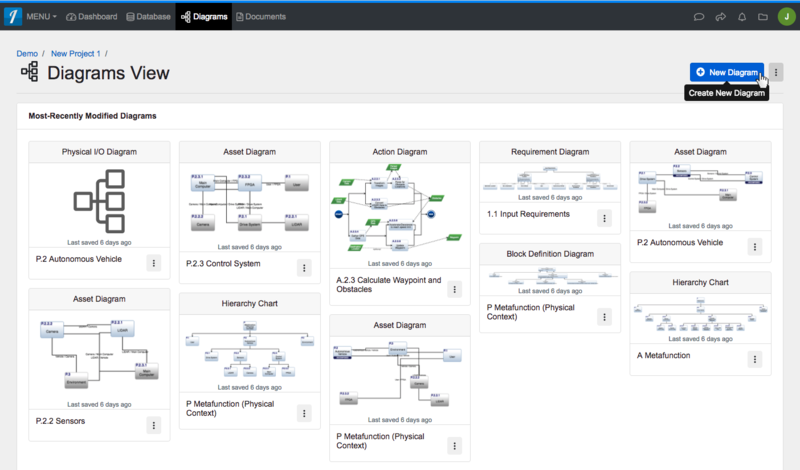 On step 1, select 'Physical I/O Diagram,' under 'LML,' as your diagram type. 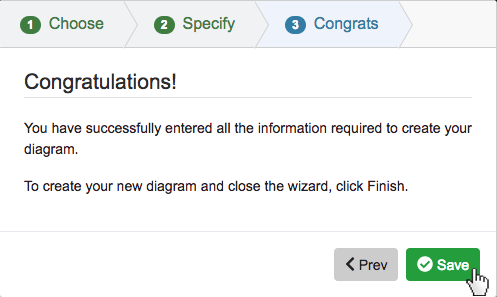 On step two, you will be prompted to input a diagram 'Name,' 'Number' (optional), and 'Description' (optional). Then, click the 'Next' button. On step three, click the 'Save' button to save and automatically open your new Physical I/O diagram. Within ‘Diagrams View,’ users can create a new diagram by clicking the ‘+ New Diagram’ button on the right of the page. 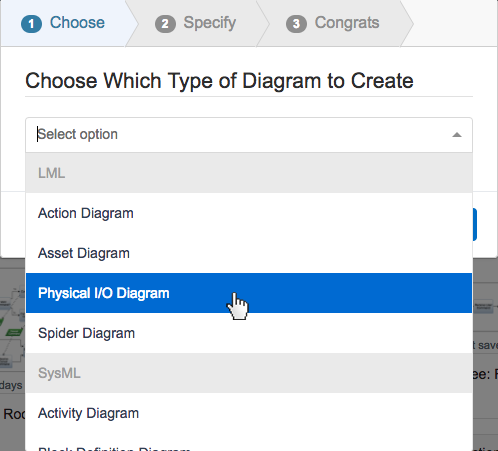 On step 1, select ‘Physical I/O Diagram,’ under ‘LML,’ as your diagram type. 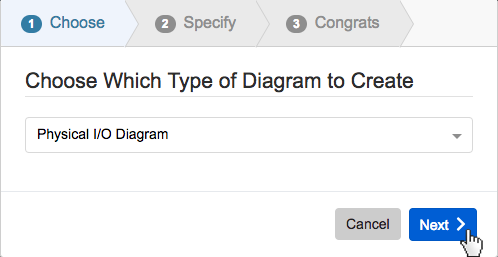 On step two, you will be prompted to input a diagram ‘Name,’ ‘Number’ (optional), and ‘Description’ (optional). Then, click the ‘Next’ button. 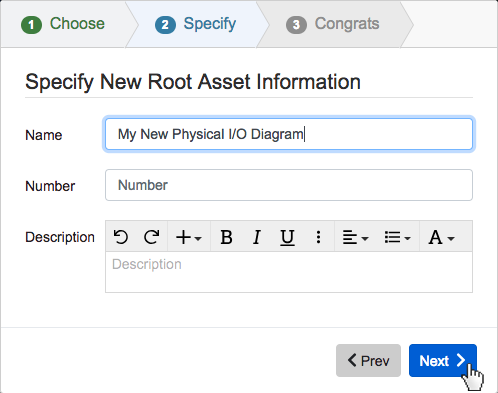 On step three, click the ‘Save’ button to save and automatically open your new Physical I/O diagram.